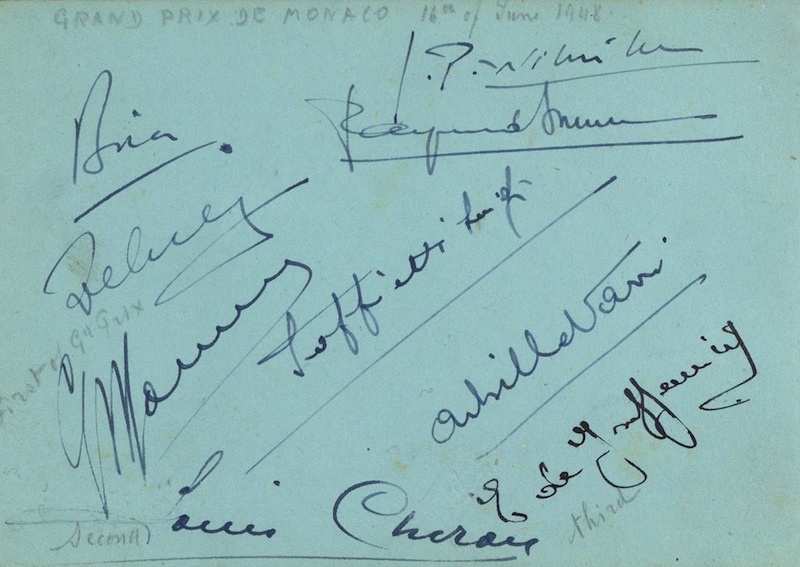 Album page from the 1948 Monaco Grand Prix. 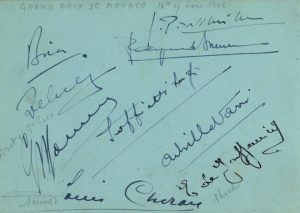 Signed across the page by Achille Varzi (1904 – 1948) (signed just 2 months before his death on the 1st July 1948), Giuseppe Farina (1906 – 66), Louis Chiron (1899 – 1979) Emmanuel de Graffenried (1914 -2007) Luigi Soffietti (+) Raymond Sommer (1906 – 50), Jean-Pierre Wimille (1908 – 1949) Prince Bira (1914 – 1985) and Goffredo Zehender (1901 – 58). 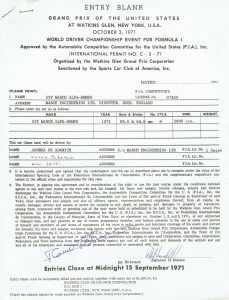 The recipient has written in pencil “Grand Prix de Monaco 16th of June 1948” although the event was held on the 16th May, so presumably he wrote the wrong month. Alongside Farina is written in pencil “First”, against Chiron “Second” and against de Graffenried “Third”. 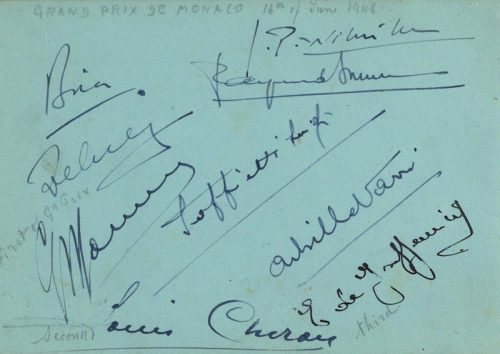 A quite unbelievable piece of motor racing history including some of the biggest names in early racing history.